You might be rolling your eyes about the fact that we’re publishing a Christmas-themed article in November, but whoa there. Before you begin comparing us to all of the retail stores who stocked their shelves with holiday decorations the minute the clock struck midnight on Halloween night, consider this: three out of four of these must-see Austin Christmas plays actually start in November! Photo: Courtesy of ZACH Theatre. Inspired by Baz Luhrman’s Moulin Rouge, ZACH Theatre’s Dave Steakley set out to create a playful and wholesome Christmas musical that featured popular rock songs that have been reinvented and incorporated into that classic Dickens story, A Christmas Carol. Now, after two years of scheming, Steakley’s show has been deemed stage-worthy and is scheduled to run from November 26 to December 28 at ZACH. And if that doesn’t make you want to attend this performance, well then maybe you should have starred as Scrooge! 1510 Toomey Rd. 512-476-0541. Nov 26 – Dec 28 — show dates and times vary. Buy Tickets. Website. Three words: Broadway. In. Austin. Now that you’ve let that sink in, answer us this: can you think of anything more heartwarming than watching a troupe of incredibly talented New Yorkers sing and dance the story of our favorite happy -go-lucky elf, Buddy, as he navigates the Big Apple in search of family, identity, and ultimately, the real reason for the season? Neither can we. Elf: A Musical has been touring the nation since November 7 and it’s coming to our very own Dell Hall on November 28-30 in all of its big budget glory. Even better, one of Austin’s homegrown talents, Marie Lemon, is part of the all-star ensemble. So there’s basically no reason not to buy a ticket. Not one. 701 W. Riverside Dr. 512-457-5100. 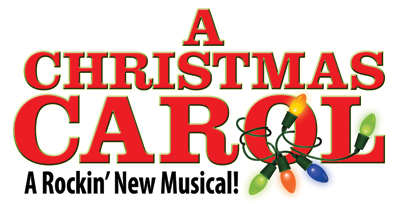 Nov 28 @ 8 p.m., Nov 29 @ 11 a.m., 3:30 p.m., and 8 p.m., & Nov 30 @ 1 p.m. Tickets start at $29. Buy Tickets. Website. 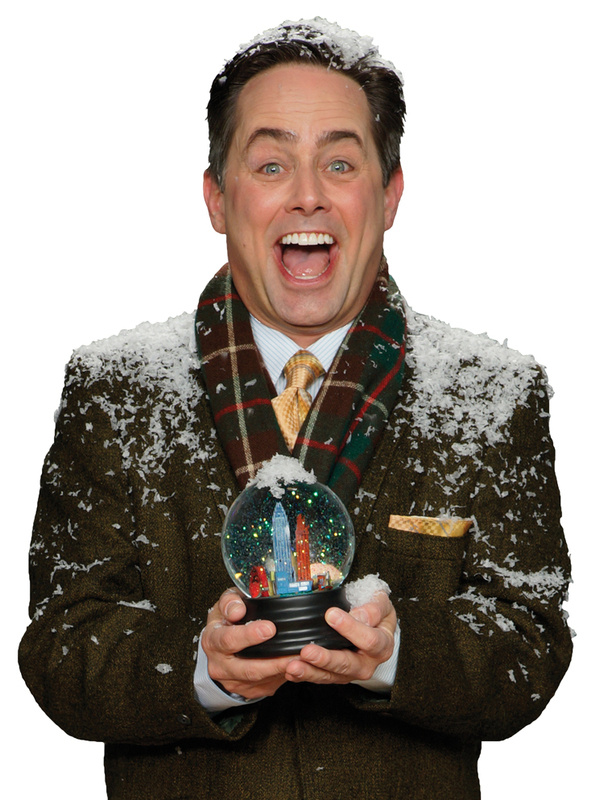 If you’ve never seen a one-man show, then you’re in for a crazy ride with ZACH Theatre’s new Christmas production, This Wonderful Life. The play, which has been adapted for the stage from the popular film classic It’s a Wonderful Life , will follow award-winning actor Martin Burke in the role of… well, everyone! It’s true. Burke will portray 37 different characters throughout the show, and he could probably do it with his hands tied behind his back. Don’t expect gimmicky impersonation act, though — in an interview with Arts + Culture, Burke says the show is actually very moving. If that sounds like a blessed truth you’d like to rediscover right along with George Bailey, then go see This Wonderful Life at ZACH sometime between November 28 and December 28. You won’t regret it! 1510 Toomey Rd. 512-476-0541. Nov 28 – Dec 28 — show dates and times vary. Buy Tickets. Website. The Nutcracker may be an oldie, but it will always be a goodie! From December 6 through 23, after Broadway has packed up and gone, Ballet Austin will team up with the Long Center to present this timeless holiday classic — which happens to be Ballet Austin’s specialty since the show is in its 52nd year! Ballet Austin’s marketing director, Julie Loignon, told Austin.com that while director Stephen Mills has maintained much of the traditional “feel” of the original Nutcracker story, he reinvents sections of the show every year to keep things fresh. For diehard Nutcracker fans, The Long Center is also hosting a jazz adaptation of the classic called “Of Mice and Music,” which will run from December 11 to 21, courtesy of Tapestry Dance Company. We dare you to see both shows! 701 W. Riverside Dr. 512-457-5100. Dec 6-23 — show dates and times vary. Tickets start at $15. Buy Tickets. Website. Each of these four Austin Christmas plays has been painstakingly prepared by some of our most musically and theatrically talented Austinites, so we’re pretty sure that attending even one means that you’re guaranteed to get a hearty dose of glee, a kick in the pants, a sense of belonging, hope — whatever it is that you need this holiday season. And you know what? We’re betting that Santa will convert your name over to his “Nice” list if you see all four. Happy holidays from all of us here at Austin.com! 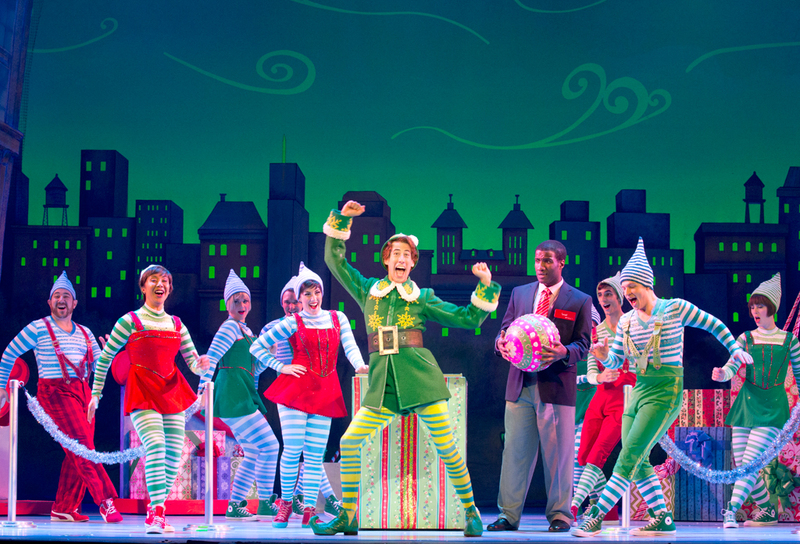 Featured photo: A scene from Elf: A Musical. Courtesy of the Long Center.